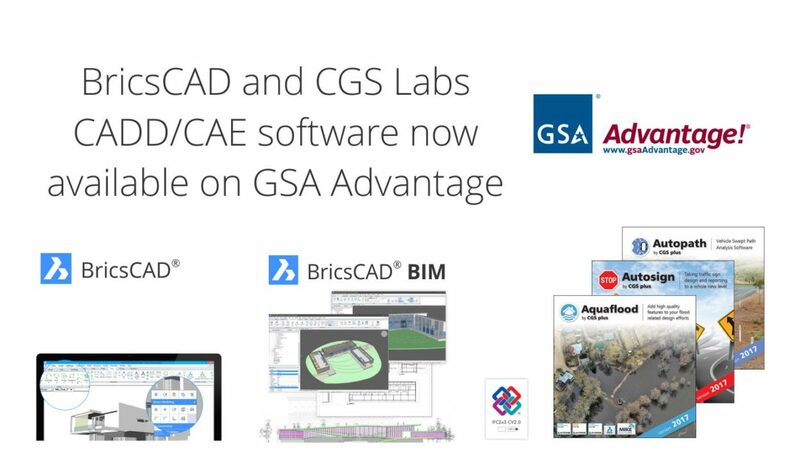 AERTWORKS® – tensei llc, a leading supplier of affordable desktop, mobile, and cloud based technologies for innovation and design management today announced that BricsCAD and CGS Labs CADD/CAE software solutions are now available on GSA Schedule number GS35F381GA. GSA Advantage® is the one-stop online resource for thousands of federal, state, and municipal employees worldwide and offers a comprehensive selection of government approved products and services. Many firms are switching from AutoCAD® to BricsCAD®, saving thousands of dollars in annual licensing costs with absolutely no adverse impact on quality and productivity. BricsCAD® makes it easy, as there is no learning curve with a familiar user interface. It guarantees 100% native 2D/3D DWG file support and can read, edit, and save AutoCAD® files v2.5 to 2017. BricsCAD® is a lot more affordable with perpetual licenses –not subscriptions- starting at $550 for Classic, $680 for Pro, and $1,020 for Platinum. CAD REBEL™ – tensei llc plans to significantly expand its GSA Advantage offering of affordable engineering solutions in the coming months.